Biblica is excited to be partnering with the LUMO Project – an organization that is redefining the standard of biblical media with visual translations of the Gospels to encourage us to engage with Scripture. Together with LUMO, we’re excited to bring you “Light of the World,” an authentic portrait of the birth of Christ that features unabridged passages from the New International Version of the Bible. We hope this makes your holiday more meaningful and helps you share in the joy of our Lord. Mark 5:19 – Be a witness first to our family, friends, or people? A continuation of a further look at Mark 5:19 on the man who was exercised of a legion of demons and had them cast into a heard of pigs (swine). Did Jesus tell the healed man to return and give witness of Jesus Christ to his family, friends, or to his own people? Which is correct? One biblical commentary states: “Jesus refused the man permission to accompany him, but instructed him to return to the circle of family [Mark’s phrase τοὺς σούς may well include a circle wider than the man’s family, but there can be no doubt that the family was at the center of that circle.” (William L. Lane, NICNT). Another states: “To your people” (πρὸς τοὺς σούς), unique to the NT, has been taken narrowly by some to mean “your family” … But most take this to refer more broadly to “the people of your area” (R.A. Guelich, Word/ WBC). In terms of biblical theology, either interpretation would not have any implications; but it would in terms of evangelism. Do we go and bring our witness of Christ to our family first, or friends first, or our own ethnic people? Obviously, we should evangelize everyone, but if I were this man healed of demon possession, I would want to tell my family first, then everyone else. Posted on February 22, 2017 February 18, 2017 Categories bible translations, spirituality, textual issueTags demon possession, Mark 5Leave a comment on Mark 5:19 – Be a witness first to our family, friends, or people? Most young people, including those with lower levels of reading comprehension prefer a bible translation they can read and understand. There are more translations available today. 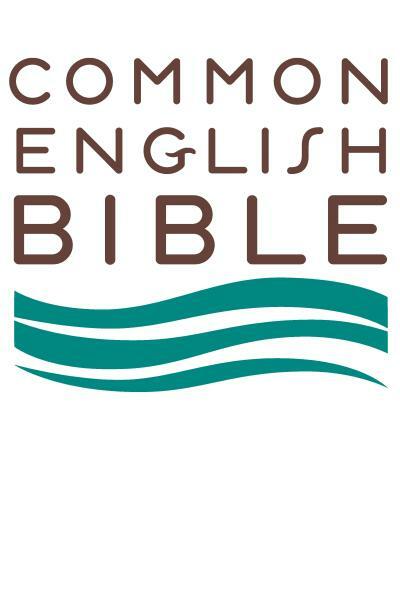 Earlier, I said I’d do a comparison of two dynamic-equivalent bible translations: the Common English Bible (CEB) and the New Living Translation (NLT). Here is the first post in this series on dynamic (or functional-equivalent) bible translations (which I’ll complete over a few months). First, dynamic translations are not meant to be literal and sound wooden; however, it also needs to flow well and remain true and accurate while not taking too many liberties to re-interpret the original text (biblical Greek). Otherwise, you run the risk of interpreting according to one’s own theological bent or preference. There isn’t any bible translation that is entire free from theological interpretation or bias; however, there may be translations that do a slightly better job. I’m picking these two translations to start because they seem to be two of the more popular dynamic-equivalent translations on the market right now. My intention is not to trash any translation. These are still both good translations and used by many Christians. v. 6 – The NLT has inserted the word “always” into “always yours”; whereas, the CEB simply renders it “were yours”. The NLT added “always,” which may be considered a theological interpretation. This might be interpreted that we had always belonged to God. Some Christians believe that we are made into his children after we come into his fold. Whether or not human beings were “always” a possession of Jesus can be a theological or doctrinal position. In this case, I’d prefer leaving out “always”. does not carry the sense of a present or gift; it simply means “to give” and has the sense of “to put, to place, to give, to offer”. Didomi does not have the sense of gift or a present. The CEB is more preferable. v. 11 NLT’s “I am departing from the world” seems to take some liberties in interpreting it in this future sense. I prefer CEB’s translation of “I’m no longer in the world”. The CEB seems to make more sense because to me, the emphasis in this thought is not in the name given, but rather, in watching or protecting them. This one is subjective and might be a personal preference. The NLT also seems to take liberties in re-interpreting “by the power of your name”. The original Greek does not even allude to any idea of “power in the name”. This is purely an insertion of the NLT translator. I think this may be inaccurate. Both interpretations of CEB’s “watch over” and NLT’s “protect them” and “guarded them”. This re-interpretation of “keeping watch” or “keeping guard” might also be over-stretching the original word of “to keep” (tērēson). This sense of “to keep” can also have a simpler interpretation of where one “keeps” the commandments of the Lord, or even to “keep” them in a person’s possession or care. Later, however, the writer of John does use “to keep” (ephylaxa) which in this case, does have the sense of “to guard” or “to protect” in the next verse (v. 12). I have do have to say that the rendering of “to guard, or to protect“ in v. 11 is not entirely incorrect. But only because it can be justified by the intended meaning used in v. 12. In v.17, the NLT also adds the word “teach” in “teach them your word”. This is an addition to the original text that is not there; this is an interpretative move. Perhaps our evangelical tendency is to think that in order to stay in the truth, it is one’s responsibility to learn and be taught from the word. This is an interpretation that comes from our humanistic approach learning and may have nothing to do with God’s sovereign power to keep us safe. My question is then, “Is God powerless to keep us in His care?” Then I would prefer to leave out the word “teach”, like what the CEB has correctly done. Another interpretation of the NLT is in v. 19. The NLT seems to be reinterpreting Jesus’ use of “holy” in the sense that he necessarily made himself into a “holy sacrifice”. This idea of a sacrifice in v. 19 is not found in the original Greek and is an insertion and reinterpretation. From Jesus’ point-of-view, being a “holy sacrifice” may not have been in his heart when he said this (although he ultimately did become a “sacrificial lamb”). In this first round of dynamic-equivalent translations, the Common English Bible takes the win over the New Living Translation. For our visual comparison, here is the biblical text below using the passage of John 17:6-19. 6 “I have revealed you to the ones you gave me from this world. They were always yours. You gave them to me, and they have kept your word. 7 Now they know that everything I have is a gift from you, 8 for I have passed on to them the message you gave me. They accepted it and know that I came from you, and they believe you sent me.….10 All who are mine belong to you, and you have given them to me, so they bring me glory. 11 Now I am departing from the world; they are staying in this world, but I am coming to you. Holy Father, you have given me your name;[b] now protect them by the power of your name so that they will be united just as we are. 12 During my time here, I protected them by the power of the name you gave me. [c]….17 Make them holy by your truth; teach them your word, which is truth. 18 Just as you sent me into the world, I am sending them into the world. 19 And I give myself as a holy sacrifice for them so they can be made holy by your truth. 6 “I have revealed your name to the people you gave me from this world. They were yours and you gave them to me, and they have kept your word. 7 Now they know that everything you have given me comes from you. 8 This is because I gave them the words that you gave me, and they received them. They truly understood that I came from you, and they believed that you sent me.….10 Everything that is mine is yours and everything that is yours is mine; I have been glorified in them. 11 I’m no longer in the world, but they are in the world, even as I’m coming to you. Holy Father, watch over them in your name, the name you gave me, that they will be one just as we are one. 12 When I was with them, I watched over them in your name, the name you gave to me, and I kept them safe.….17 Make them holy in the truth; your word is truth. 18 As you sent me into the world, so I have sent them into the world. 19 I made myself holy on their behalf so that they also would be made holy in the truth. I will be comparing several bible translations. This hasn’t been done on New Epistles blog in a long time. It’s fun and I miss doing this. In the past, I used to do this extensively on New Epistles. This time, we’ll probably be comparing two of my favorite dynamic translations-—the Common English Bible and New Living Translation. I was reading from the Common English Bible recently. I like it so much because it’s so clear and easy to read. It was consistently on the top ten in 2014 but recently since 2015, it seems to have fallen off the top ten (and top 15) in bible unit sales. Not sure what’s going on but personally I think it’s a great functional equivalent translation (dynamic) and deserves more readership. Most bible readers don’t know the difference and rely on word-of-mouth, but even opinions through word-of-mouth are not the most accurate. Other dynamic translations have also fallen off the map include New Century Version, God’s Word, and the Voice. They’re even hardly seen on the bookshelves in Christian bookstores these days. In April 2015, only the New Living Translation, the Message, NIrV, and Amplified have remained in the top ten on CBA’s ratings. Have Christians ever referred to God as “Allah”? The answer is “Yes”. In the past, bible translators have translated the Christian God as Allah (see interview with Wayne Johnson). Interesting. Our society in the western world have been shaped by the word “God”. But in other non-Muslim nations, they have been using “Allah” to refer to our Christian God for hundreds of years before it got banned by Muslim governments in order to root-out non-Muslim religions. Would it be too difficult for us Christians in the west to return to using “Allah” in reference to our Christian God? Posted on May 9, 2012 May 8, 2012 Categories bible translationsTags Allah, Elohim, GodLeave a comment on A Christian’s “Allah”? Through all that they suffered, he suffered too. The messenger sent from his very presence delivered them. In all their suffering, He suffered, and the Angel of His Presence saved them. in their every affliction. It was not a messenger or an angel, but he himself who saved them. In the NIV, CSB, NET (and ESV/RSV), the meaning offers a comforting message. God declares his love for his people because it illustrates how when we are burdened, that God also bears a burden and sorrow along with us. God feels the suffering of God’s people. However, in the NJB, NAB (and NRSV), the rendering does not show God suffering. Another resulting consequence is that in the [NIV, ESV, CSB] the “angel of his presence” was there to save them, but in the [NJB, NAB] it is not a messenger or angel that saved them, but rather, his own presence. Given this whole passage from vv.7-14 is actually about the crossing of the Red Sea, and that the “Angel of his Presence” alludes to the angel’s role at the time of the Red Sea crossing (see Exodus 14:19), I think NIV, CSB, NET offers the most intelligible rendering of Isaiah 63:9.